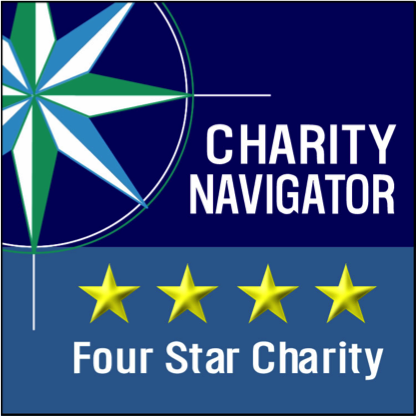 Mercy Achieves 4-Star Charity Rating – Again! Mercy Achieves 4-Star Charity Rating—Again! For the eighth time, Mercy Multiplied has garnered the most coveted 4-star rank from Charity Navigator, America’s largest independent charity evaluator. Mercy’s sound fiscal management and commitment to accountability and transparency places them among a select, high-performing quarter of rated charities. This “exceptional” designation differentiates Mercy from its peers and verifies that Mercy “adheres to sector best practices and executes its mission in a financially efficient way,” Michael Thatcher, Charity Navigator President and CEO, wrote in a congratulatory letter addressed to Mercy Founder and President, Nancy Alcorn. Since 1983, Mercy Multiplied’s Christian residential program has provided hope and healing to thousands of young women struggling with life-controlling issues. Throughout its 33-year history, Mercy has operated on its three foundational principles: (1) accept girls free of charge; (2) always give at least ten percent of all donations to other organizations and ministries; and (3) do not take any state or federal funding or any money that interferes with the freedom to share Christ. With more than 1.5 million charities in America, high-performance evaluations like those of Charity Navigator help to accentuate the strong financial health and success rates of organizations like Mercy Multiplied and give donors confidence to make charitable decisions.